Quitting smoking will change your life. The NHS website has 5 practical tips that you can do today to get started. A digital app can give you instant support whenever you need it. They can help you plan ahead and you can use them when you feel the urge to smoke. NHS Smokefree – The NHS Smokefree app can help you stop smoking by providing daily support and motivation. 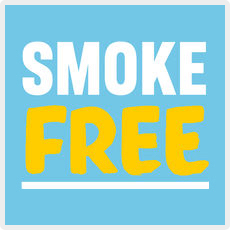 If you stay smokefree for the 4-week programme, you’re up to 5 times more likely to quit for good. See the image and link on the right hand side of this page. Download from the Apple Store or from Google Play. Stoptober – During the Stoptober campaign (September and October)This app provides motivation and support on the go and when you need it most. You can even track the days you’ve been smokefree and see how much you’re saving! Download from the Apple Store or from Google Play. Quit Genius – Quit Genius uses a combination of cognitive behavioural therapy and a 4-step programme to help you change your relationship with smoking. Download from the Apple Store or from Google Play. Best You – Best You is focused on a whole host of health improvements you can make to help care for your own body and feel better overall. Download from Google Play. Smoke Free – Using over 20 different scientific techniques, Smoke Free helps you become just that by logging cravings, identifying patterns and offering advice. Download from the Apple Store or from Google Play. Nicorette Stop Smoking – You probably already know about the dangers of smoking, and the risks it can pose to your lungs, your heart, and your life. Download from the Apple Store or from Google Play. You can follow NHS Smokefree on social media for more hints, tips and messages of support from other people who are getting ready to go smokefree. Make sure you share your own tips and well as keeping up with updates on quit tools and resources available.